Starting a barbing salon business is definitely one business idea that you have to consider. It is not only lucrative but fun and entertaining. When a banker resigns from the banking industry to set up a barbershop, he is either crazy or knows something that most people don’t. That was the case for Bruno Oaikhinan, the founder, and CEO of Bruno’s place (one of the top 5 hair salons in Lagos Nigeria). After taking a look at other lucrative business ideas including commercial cleaning business, Laundry and dry cleaning business, bread bakery business, cooking gas distribution business, computer business center, and farming business ideas, starting your own barbing salon business is totally worth the while. Luckily, a good barber shop will always attract new customers, even in a recession. Human hair will not stop growing just because the economy isn’t. The average man cares about his look and visits the barbershop every week, parting with between N200 and N5000 as service cost, thereby spending between N800 and N20,000 in a month. Therefore, we can safely assume that a barbershop with an average of 100 customers per month, can earn between N80,000 and N500,000 every month. There are other highly recommended small business ideas for men, but we will be considering this aspect in this article. Therefore, if you’re thinking of starting your own salon business, then read along. You must offer your customers the best of services and there is no better way than to get the appropriate training. A six months training in hair cutting, styling, treatment, and care will go a long way to set you apart from the crowd. Much more than everyday style, you need to keep up with styles that are in vogue. Read celebrity magazines, follow renowned hair stylists on Instagram and Facebook and see what their latest offerings look like. And peradventure you employ a staff, get the best. Don’t employ rookies because you want to save cost. Protect your brand. If you intend to attract the choicest customers, your location must speak for your business. Site your business in a clean, spacious and accessible location. Shopping malls are good locations but you can also find other wonderful locations to plant your shop. It is always good to have a parking spot for car owners. Let them know you have enough room for them. This will go a long way to affect the way people patronize your services. What’s an idea without a corresponding action? This is to avoid any form of embarrassment from anyone including government agencies and labor associations. Make sure you are registered with the appropriate authorities and bodies. Who said you can’t offer more than a haircut? Sale of clippers, shaving sticks, shaving powders, hair creams, shampoos, hairbrushes, etc. Selling magazines, perfumes, male ties, cufflinks and other male products. 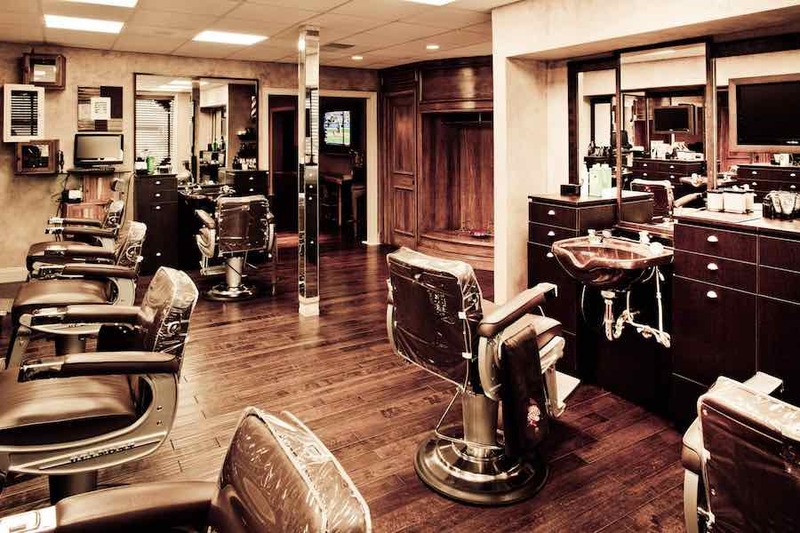 Barbing salon business is no different from other kinds of businesses; you need to stand out from the competition. Research your competitors to discover what they do differently and where their shortcomings lie. Good character and customer relations, a welcoming salon, modern equipment, and expertise will add a touch of distinction to your business. Customers will pay any amount as long as they get the value for their money. Package your barbing salon business like a 21st-century empire. Have a website because it will be crucial to your marketing efforts and can be used for everything from posting your hours and driving directions to selling salon services and showcasing your works. Be available on Instagram, Facebook and TrustOrRun. Let your existing customers write reviews about your barbing salon. Encourage your workers to dress in a particular style and let the uniformity speak for you. All in all, barbing salon business is a creative small business idea and one that grow into a franchise if well managed.